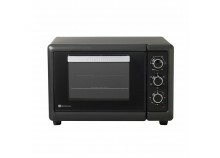 The GetFurnished.com online store offers a wide range of ovens for rent to cook your dishes. The shop offers those who need it operating leases for terms ranging from 1 to 36 months. The lessee of the property can then return the rented oven as soon as it is no longer in use. It is also possible to exchange one rented oven for another. The wide choice of brands and models that can be found on the platform makes it possible to satisfy the needs of private individuals and even kitchen professionals. Opt for reduced expenses by choosing to equip yourself with the GetFurnished.com online store. You can enjoy high quality equipment by choosing from the shop's selection of top brands. The chosen oven is then quickly delivered to you at the right time and on the right day. Find on the platform different sizes of ovens for your different uses. Renting a good oven with the GetFurnished.com online store is a great solution for people who live in temporary accommodation but need equipment to cook meals. Whether you are a student, civil servant or holidaymaker, it is important not to compromise on your comfort, even if it is only a few months' stay. By renting an oven for your accommodation, you can cook your meals and enjoy the equipment for the duration of your stay. The oven rental gives you all the advantages of a good kitchen equipment while avoiding you to spend the large sums related to the purchase. So there is really no reason to make a definitive purchase if your budget does not allow it. And even if you can afford to make a purchase, it will be very nice to be able to use the savings for other purposes! - The Price: GetFurnished.com's rental service is designed to give you complete control over your budget. The monthly payments of the various contracts, and in particular those of the furnace rental, are very small for your satisfaction. Renting is a cost-effective option for you. 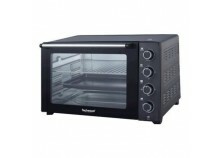 - Quality: Choosing to rent your oven with the GetFurnished.com online store is a guarantee of quality equipment. Thanks to high-temperature brazed air technologies, your dishes will have an excellent cooking experience. 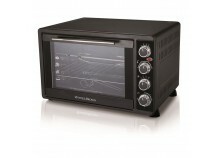 The ovens available are in excellent working order and very efficient. As for the shop's customer service, its purpose is to satisfy you. You can count on professionals who are at your service to deliver you quickly. - Simplicity: there is nothing simpler than taking possession of the oven you have chosen to rent. The delivery and recovery of the item at the end of the contract are carried out by the shop as soon as you wish. For the payment of monthly installments, the bank transfer allows you to pay easily and securely.